Siblings share almost everything. These two share a birthday month! 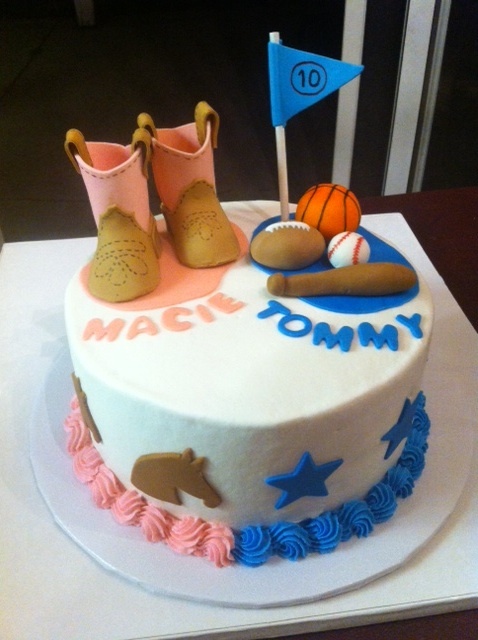 Their mom wanted to have a cake for an intimate family get-together. The challenge? She wanted it to incorporate each of their interests. With a cowgirl girly-girl and a sports-loving boy that proved to be a small challenge. So we decided to divide the cake in half and give it two personalities. I think it turned out cute and hopefully they felt very special.